When it comes time to make an offer on a home, you need not to go about the process alone. Rather, you can team up with an expert in this area to ensure you are led on the right path and will end up seeing the successful results that you had originally hoped to see. Buying a home is no walk in the park. Between getting to know the area a bit better and making sure you gain the home for a reasonable price, there are dozens steps that you must take and can’t afford to miss one. Because you are busy with work and maintaining your family, you simply don’t have the time or patience to deal with everything involved in a home purchase. That is why more and more people are looking to hire professional help in the form of a real estate agent. My name is Kathleen Betancourt and I would be happy to step in as your agent at this time. Before I began working in the real estate industry, I worked in the United States Coast Guard. I specialize in military relocations. I know how overwhelming it can be to up and move to a completely new area. That is why I want to be there for you every step of the way making the transition to the new area as smooth as possible for you, your spouse and your children. I am passionate about serving my clients no matter what their particular transaction might entail. This passion certainly shows. I am one of few agents who cares more deeply for the relationship I build with my clients as opposed to the commission I’ll make off the sale. With over 10 years of experience serving Englewood, Placida, Port Charlotte and other nearby cities, you can trust that I will be the ideal agent to help you through this process. A multi-million dollar producer, specializing in residential real estate sales and relocation. Retired in 2000 as a U.S. Coast Guard Chief Petty Officer, she served as a Relocation Assistance Manager for three years during her active duty, a Personnel Specialist for 19 years, and an Emergency Response Contingency Planning Office Manager. 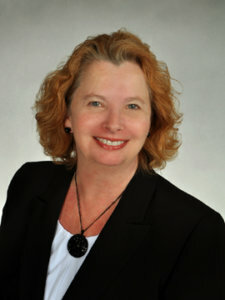 During her service, Kathy developed a unique understanding of the needs of military community and the transition to civilian life. Now, as a civilian, Kathy prides herself in catering to her customers’ real estate needs with integrity, fairness, enthusiasm, and attention to detail. She provides outstanding customer service to her clients whether they are moving down the block or are traveling across the country. So, whether you want to list your property or are looking to purchase that perfect “dream house,” let Kathy handle your real estate needs so you can focus on enjoying your transition to a new home!